Soccer Shtetl is a weekly column touching on Judaism, the Torah and soccer. Authored by David Tenenbaum, Soccer Shtetl is fully licensed and fully Jewish. Since the Jewish year 5775 has just started, we are just beginning the study of the Torah. In fact, the Torah portion this week is B�reishit. Some of you may know that as Genesis one through six, more or less. It features such famous stories as the creation of the Earth � an interesting story, but it slows down at the end � Adam and Eve, Cain and Abel, and at the end, Noah and that big flood. While I have a fondness for Noah�s story, mostly due to my brother sharing the name, I want to instead today focus on a story about brothers, Cain and Abel. You see, sometimes things in real life can resemble stories, �life imitating art� and this week we have seen it with the in-fighting between United States men�s national team coach Jurgen Klinsmann and Major League Soccer commissioner Don Garber. While the two are brothers in the family of advancing US soccer � the common noun, not the proper one � they have descended into verbal rockfighting. In the biblical story, Cain is the first human born, and he becomes a farmer. Abel is second born � later the first human to die � and he is a shepherd. God tends to prefer Abel�s sacrifices, and this angers Cain. Cain later invites Abel out into the field and kills him. I�m not really sure which of the two real life parties are Cain or Abel. I think you could make a case for either, that�s how metaphors work. Perhaps Garber is Cain, coming before Klinsmann and growing MLS, and to some extent those who develop in it, and then getting jealous for the power and freedom afforded to the Coach. After all, Genesis 4:17 refers to Cain building a city and naming it for his son Enoch. Then, in lieu of a field killing, he calls conference call to criticize comments Klinsmann made about Michael Bradley and others moving to MLS, both recently and in the more distant past. Again, one could just as easily flip the script. I just think the biblical story offers a nice parable. There were probably better ways for Cain to deal with his issues. His question is never directly answered, but we are led to believe we must make the choice. One should be their brother�s keeper, but that�s something that is done rather than said. Surely the two men had better ways to sort out their issues than airing the dirty laundry in public. Leave those arguments to the fans. 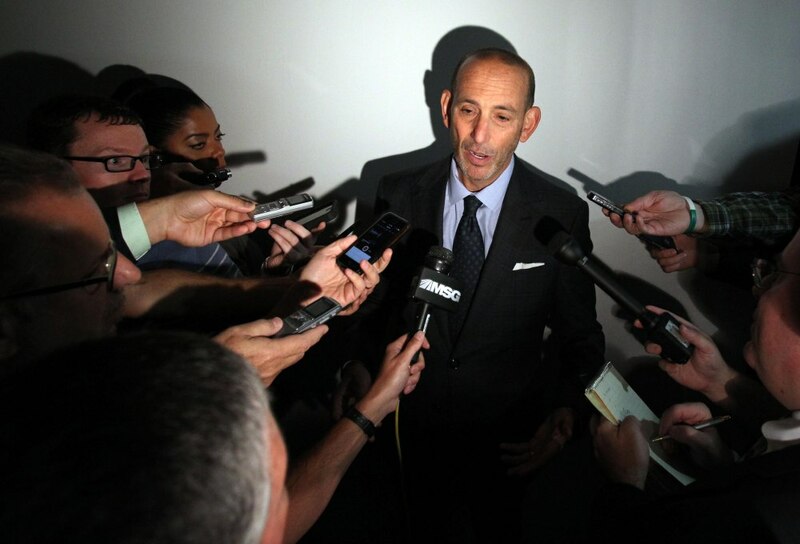 Garber and Klinsmann�s squabble is not nearly Cain and Abel�s struggle, but the metaphor comes easily. Similarly, the lesson lingers in the background. Both men had choices to make, and both men�s answers served as answers to Cain�s eternal question.